This was an incident filled race. I've seen some overly aggressive driving which will be not tolerated. As it is almost impossible to check the entire replay I have only been looking at the reported incidents and some incidents on the formation lap. Although we don't have a replay from the qualifying session I would like to remind you all of some basic qualifying session guidelines. Chatting is only allowed in practise and warmup session. Only chat messages like 'pit in', 'pit out' and other messages from the same nature are allowed in the other sessions. When you are on your outlap remember you have cold tires and brakes so stay off the racing line as much as possible and move off line when a faster car is approaching. Also I got some complaints about speeding in the pitlane. Remember the pit lane speed limit should be obeyed in all sessions. Then I would like to remember everyone of the fact there is a formation lap. A few people seemed to have forgotten. Don't start driving before the driver in front of you does and keep your distance. When you overtake on the formation lap by accident make sure you give the gained spots back. I've seen some people driving with their lights on for no reason. Keep in mind driving with lights turned on is only allowed when driving in rain conditions or when you are the class leader. When a different driver is the current leader please don't forget to turn them off again. Nakano_56 gets next to Greg130 in Elf. Nakano_56 has some contact with Greg130 in the following lefthander. Sponsored by Ginsters runs offtrack at La Caixa. He runs all the way through the graveltrap and rejoins at the straight after the corner. At the same moment Jakob Schmidt comes out of La Caixa and thinks Sponsored by Ginsters is behind him at the next corner. There is some contact between them. As it is difficult to judge a rejoiners' speed I would like to advice to keep a steady pace until you have made sure there is nobody behind you. Whitham69 follows Jamera into Repsol. He dives to the inside of the corner but is still behind at the corner entry. Whitham69 later explained he thought Jamera was running wide. Maverick is being lapped by Greg130 on the straight before Repsol. Then there is some contact when they go in to Repsol together. It's unclear if this is an unlapping attempt or that Maverick just had missed his braking point. Claus Jewel is in a fight for 4th spot with Greg130. Claus taps the right rear of Greg130's car, who almost loses controll. Nakano_56 is attempting to lap Popabawa at La Caixa. Nakano_56 goes a bit wide and Popabawa hits him. D Boyd is gaining on Edza pretty fast. Just before the last corner D Boyd thinks Edza is going to let him pass. In fact the blue flag even wasn't shown yet to Edza. D Boyd just barges into the back of Edza who spins off and hits the wall pretty hard. This incident is put in after the report is published and went by unreported. The penalty will be reduced to a caution. Keep in mind this would have been a 2 place penalty when it was reported and put in before the report was published. Nakano_56 laps Sponsored by Ginsters just before La Caixa while he is following Greg130. Then he dives to the inside of the corner while Greg130 is already moving to the apex. The contact which follows knocks Greg130 into the graveltrap. Boyd is about to lap Mo when they get to Repsol. Boyd drives his car to the inside of the corner and taps the right rear of Mo's car. Mo has to travel through the gravel trap to get back on the track again. This was an unnecesary incident as Boyd could have easily passed Mo under power at the following straight. As this incident is put in after publication the given penalty will be diregarded. Claus Jewel is trying to lap Whitham69 for a while. At the second to last corner he hits the right rear of Whitham69's car sending him into a spin. Whitham69 is taking his planned pitstop. Aajay_UK drives into the pits some time after that and starts pushing Whitham69 out of the way. Because Whitham69 was pushed out of his pit space it also stopped the refuelling, making Whitham69 have to come around the track to get enough fuel to finish the race. Later he explained his pitcrew was telling him to move forward and he had no choice. What he should have done is wait until Whitham69's pitstop was finished and then move forward. Aajay_UK's race already was spoiled, he shouldn't have spoiled Whitham69's race too. Therefore I'm forced to issue a 2 place penalty for this incident. Claus Jewel is following Greg130 at a short distance when they go through New Holland. At the apex of the corner he starts to close in even more and finally bumps into Greg130. Cars allowed: those classed as GT or NGT, according to each driver's registered class. A list of which cars are in which class can be found here. Seat Toledo, Lotus Elise, BMW Z3M and Porsche GT3 Cup are not permitted. Weather: Will be decided just before the race based on real-world weather. Password: Will be emailed to those that need it. (1) Please try to arrive at least 15 minutes prior to qualifying, during Practice 1. (2) Reserve drivers should wait till 5 minutes before end of Practice 1 before joining (8:25pm) so that they only take up genuine free spots. (3) See UKGTR Season 2 Info for general Endurance Season 2 info. 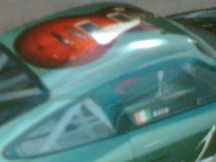 (5) Season will be run using a UKGTR carpack which will need to be installed prior to racing. Details of this pack can be found elsewhere. Just seen my, and kc's, standing. Please end the competition now . I could have this completely wrong, and if I have apologies. I have been assessing the numbers "involved" in the championship this season, and it seems to me that there are probably 16 Full Time drivers approx, that will fill spaces on the server each week. That leaves about 50 people chasing 8 slots. Now I know some of the registered people will probably never bother to attend even 1 race, but if that figure is 50% then that still leaves 25 people for 8 slots, which is gonna mean a lot of :'( people. I have never experienced an Enduro season, but this could get quite tricky, with Reserves attempting to join a little "earlier" to get a drive etc. Last season we had even more chasing spots in two divisions. To be sure the first 2 or 3 races will be busy but after that attendence tends to drop off dramatically and by mid season I'd be amazed if I was offering at least 3 or 4 spots in both of each class to reserves. By race 7 or 8 of last season both divisions were like ghost towns and given all the overhead of organising and moderating a whole nother division, alongside the arrival of GTL and maybe even rF championships would be a colossal waste of energy. Ok Dave, thanks for clearing that up. Have to ask....but do reserve drivers with a skin in the car pack get preferential treatment when joining? I assume not as Ive not read it anywhere but is there any rhyme or reason to the order in which reserves get to join? No, it's strictly "fastest fingers first". Thanks to a very kind Haiku there should be a second server up. I don't believe it has any official capacity but is there to give those who don't make the main race a fallback option, all that practice will still count for something. The race will be the same, including the weather setting. Please treat it as such and race with the same ettiquete that you would on our server. This server will be running 15 mins behind the main one. The short answer is "no", because with points will come moderation, registration, and something else ending in 'ation' which I haven't thought of yet. If server exports are available it's possible the the results may be published as semi-official fun races. Page created in 2.135 seconds with 86 queries.